So I can spend a dollar buying many things. Like a pack of M&Ms, or Pixi Stix, a Wet N’ Wild eyebrow stick, and some nail polish from L.A. Colors. With most cosmetic items that cost a dollar, I don’t have much faith. My motto is that you get what you pay for. Can’t expect too much outta a buck, right? I’m not in love with the nail polishes, but for a dollar, I could definitely see myself buying more. Just to try a new color. What can I say, I’m a polish fiend. The Cotton Candy lacquer is very pale. I needed three coats to get a decent color out of it. 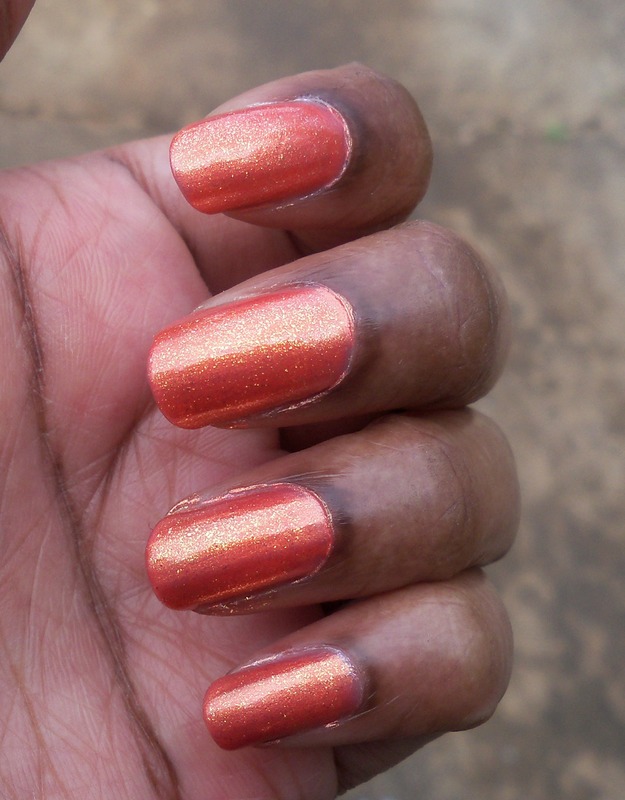 Still, I was impressed because it gave a nice, hard, shiny finish without a topcoat. It is a gentle, everyday, neutral nail color. I’m not much of a neutral type of gal, but this works for me. They dry pretty fast, in about two minutes each coat. They finish is nice and glossy. They only cost a dollar! They don’t start to chip until at least three days, and I’m sure with a topcoat it could last longer. Nailed it or failed it? For a dollar, they nailed it. I just saw a new line from L.A. 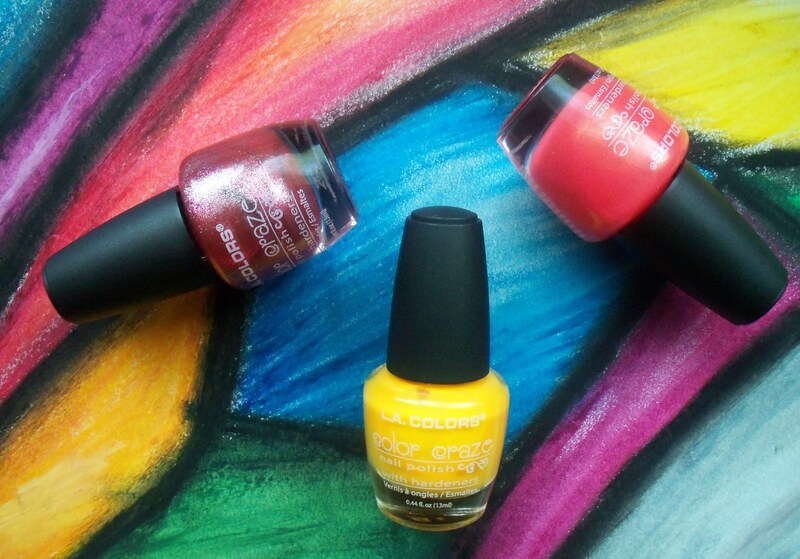 Colors called Color Craze that I can’t wait to try. The colors look pretty amazing. So I was making a run to Dollar General last night cause I NEEDED some tasty goodness known as Pixi Stix (I go through a Pixi Stix phase every handful of years). While there I had to swing by the makeup aisle and just browse, and ended up buying two new nail polishes. Not needed, but it wasn’t the first and I’m sure won’t be the last time that curiosity will get the best of me. Have yall heard or tried L.A. Colors? I have never heard of them until a few weeks back. 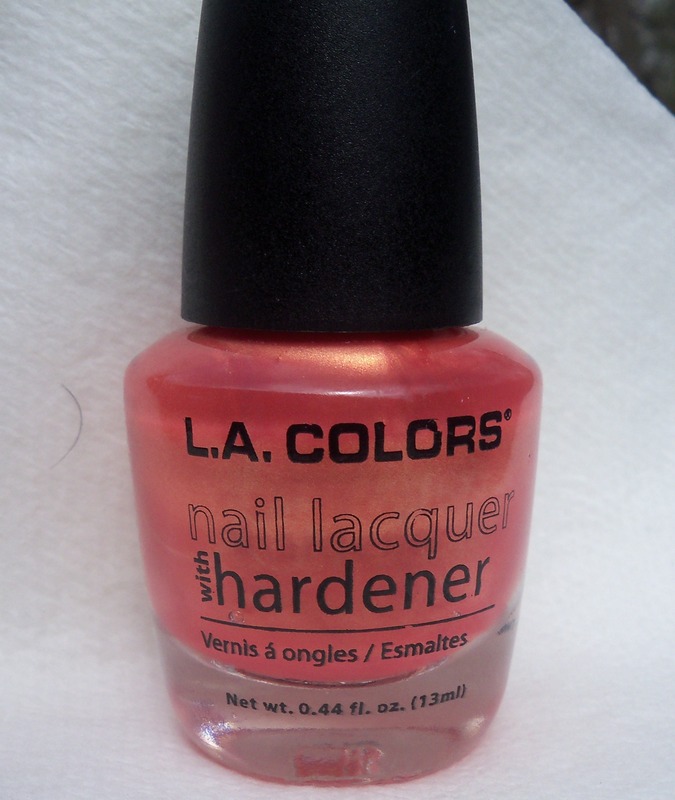 They are a cosmetics company, and they have makeup and nail polishes for pretty cheap. Between 1-5 bucks from what I’ve seen. Their nail polishes are a dollar each, so I decided to buy two and check them out. My personal policy is to buy one nail polish if I have never used that particular brand, and if I am pleased, I go and buy more. But I figured, if they are only a buck, it’s not that big of a loss. Plus, I could always mix. I’m trying to stick to “softer” colors this spring, and there were a couple of colors that I thought I would try. The first one is named after another fave guilty snacking pleasure-cotton candy. It kinda does remind me of soft, cottony mounds of cotton candy. It is definitely a color I’m not used to wearing, the closest I have gotten would be a pale, french manicure color. The second color also has an edible name, nectar. Makes me wanna bite into a ripe, juicy peach. I opened the bottle to check out the polish’s consistency, and so far it looks promising. Not too thick, not too thin. Product review will be coming.